Takahito Nakajima was born in Yonago, Japan, in 1967. He received Ph.D in engineering from Kyoto University, Kyoto, in 1997, having carried out work in the area of theoretical chemistry under the supervision of Professor Hiroshi Nakatsuji. In 1998 he joined Professor Kimihiko Hirao’s group in theoretical chemistry in the University of Tokyo, Japan. He became Research Associate at the University of Tokyo in 1999 and Associate Professor in 2004. In 2010, he moved to RIKEN Advanced Institute for Computational Science where he became a team leader of the computational molecular science research team. 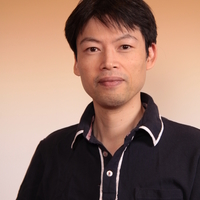 He is now a team leader of the computational molecular science research team in RIKEN Center for Computational Science. He has almost 150 publications in the field of computational quantum chemistry, including work on the development of relativistic molecular theory, accurate molecular theory, and large-scale molecular theory. He is also developing ab initio quantum chemistry software named NTChem.